As video game adaptation goees, "Rampage" suffers the same fate as many. The film will fly as a mindless and shallow filler material. We won't deny we enjoyed its humongous fight scenes and its frenetic pacing. But there's also no denying that it is, at its core, a generic monster film without any fangs to stand out from the field. Primatologist Davis Okoye (Dwayne Johnson) has been taking care of an albino Gorilla George ever since he found him as a young ape. But when a mysterious object crashes inside George's home inside the zoo, George is infected with a genetic-mutating substance that turns him into a giant and aggressive beast. To make matters worse, a grey wolf and a crocodile, unknown to others, have also been infected in the wild. Davis, with the help of a genetic engineer named Dr. Kate Caldwell (Naomie Harris), must find a way to protect and save George while finding a way to reverse and stop the other monsters from destroying Chicago and killing thousands. "Rampage" is as generic as you can get. Not only as a monster-slash-disaster film but as a Dwayne Johnson film. Several times during the film, we felt we have seen the same scene or even the same scenario starring Johnson from another film. 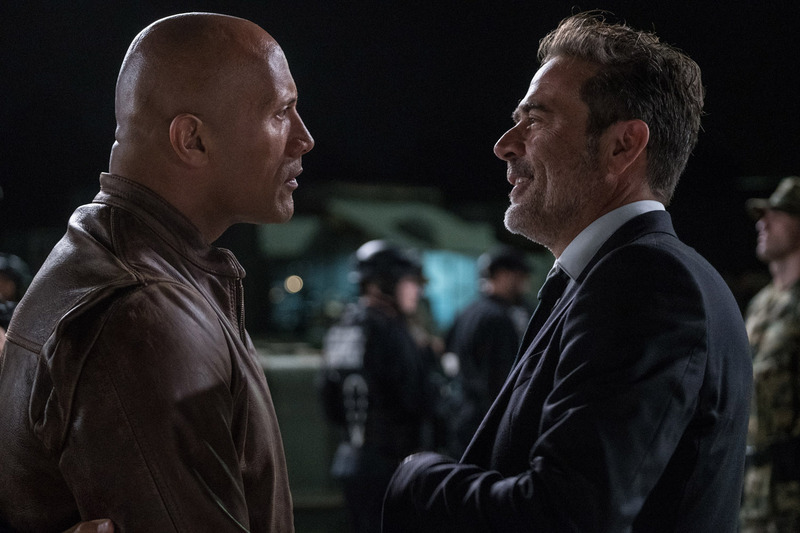 While we cannot deny that Johnson is still charismatic on-screen, at this point, it is getting tiring to see the same old attire, the same old setting, and same old scenario playing from film to film. As far as the story goes, we didn't expect much to begin with and "Rampage" did not surprise at all. While the story was acceptable on some level, it was still pretty basic and generic. But worst of all, it was silly in a very bad way. Countless times, characters just act oblivious. From the FBI to the antagonists, everyone was missing out on the obvious and it was as if the writers did not give much effort to polish out the screenplay. For the sake of moving the plot, these inconsistencies were left right smack dab in the middle of the film for everyone to see. 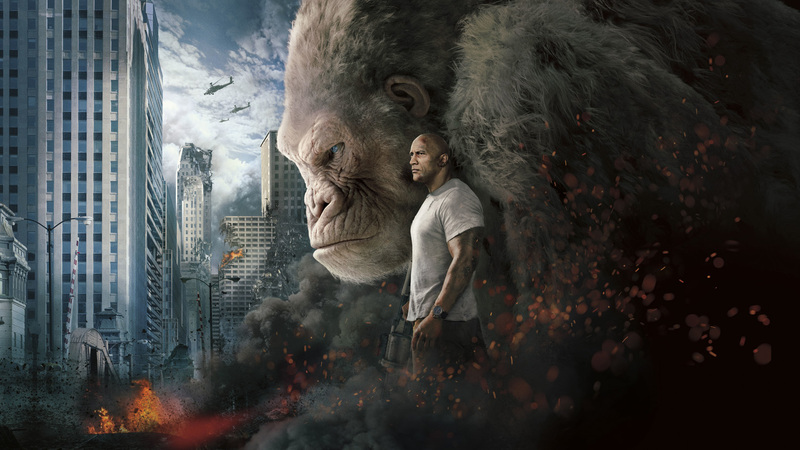 The only saving grace for "Rampage" was its action-packed core and epic fight scenes. Fantastical and unbelievable, we won't deny that several scenes had us in awe. Overall, "Rampage" as a mindless monster film is enjoyable. It's a watch it and forget it kind of film. Expect anything more and you'll definitely be leaving the cinema disappointed.